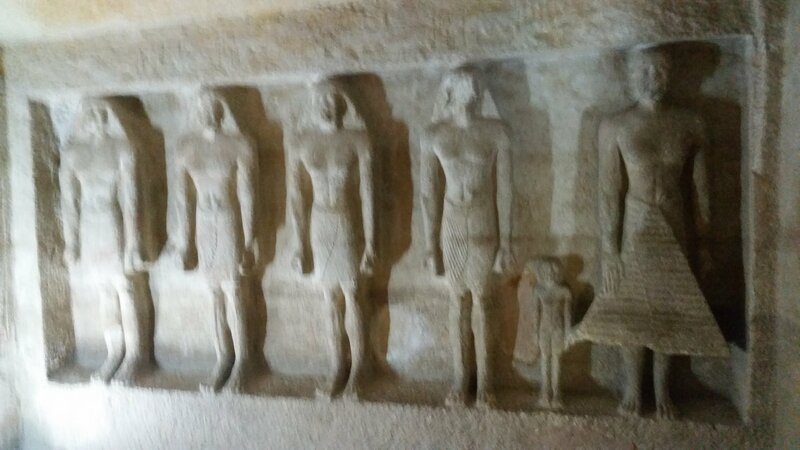 I think when westerners head into Egypt, the popular 80s song by The Bangles, "Walk Like An Egyptian," comes to mind. Thoughts surface of Alladin and Arabian nights, the pyramids and other readily accessed imagery you have in your memory bank. Upon departure from the USA, I received the most warning regarding the Arab countries we would visit, Egypt being one of those. Cautionary advice like, "Don't make eye contact with the men." "Make sure to cover your head." "All they want to do is kidnap you and sell you into slavery." "Don't tell anyone you are a Christian." And many others. 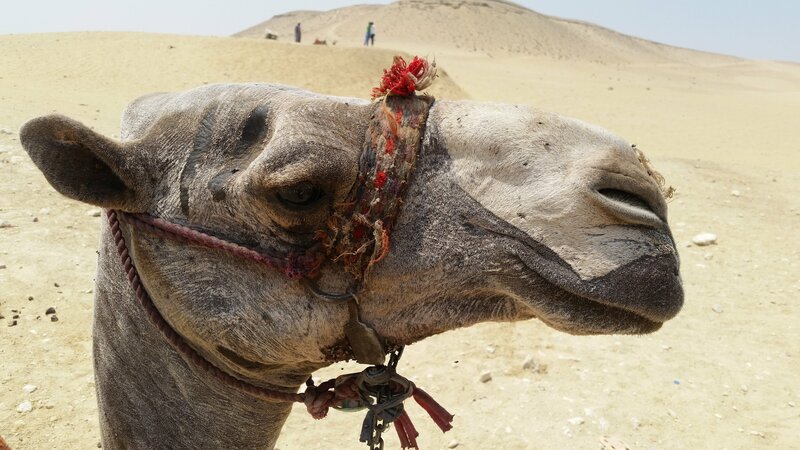 I am here to say that our stay in Egypt was simply a delight. Sure there were beggars, hagglers and areas to stay away from...but isn't that any city USA as well? If you stick to the safe areas, especially if you are not alone and it isn't after dark, you find a vibrant, colorful, eager to serve you metropolis rich in Arab culture and custom. We stayed at Le Meridian Hotel, the nicest hotel we have stayed in so far, and it was a place we were able to let our guard down a bit and relax enough to sleep well at night, replenish our energy and get our strength back. This hotel was a God send and the staff was amazing. We were able to find someone that, for one day, acted as my bodyguard in the city while I shopped for replacements equipment alone. 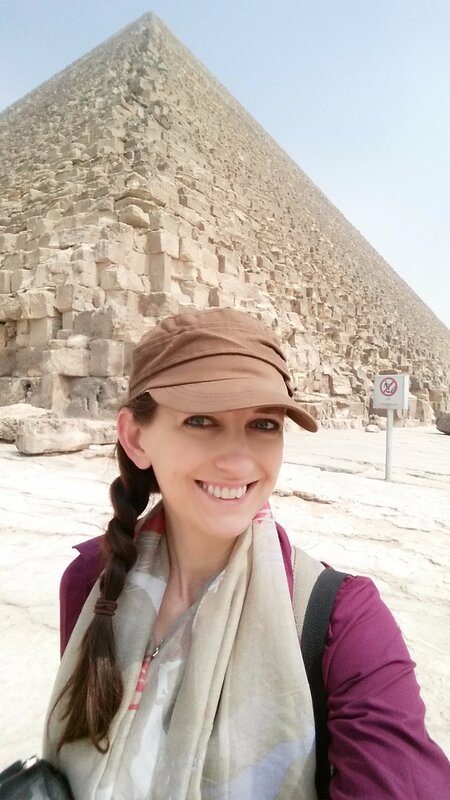 Jennifer needed to catch up on writing so I braved the Cairo scene on my own. Fascinating city with such rich history. So I think I know what "Walk like an Egyptian means." 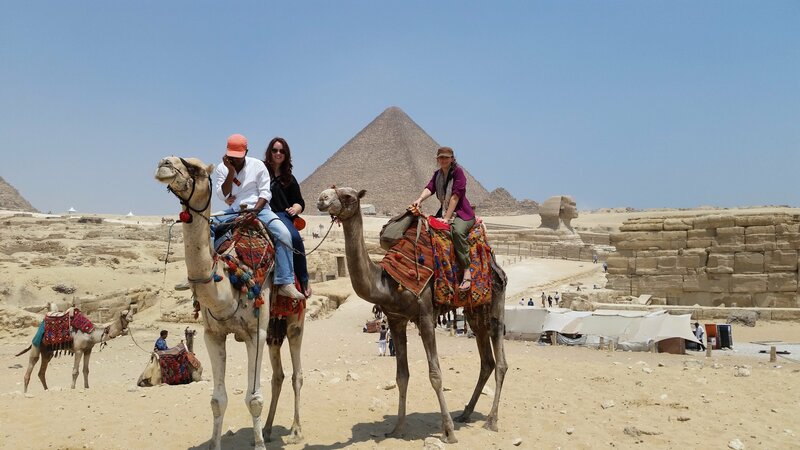 After a 2 hour long camel ride around the pyramids (thank you to my hubby Jason for that gifted tour) your legs are permanently spread apart about 4 feet wide and trying to close them into a normal walking position is difficult. In an effort to remain balanced, you need to stick your arms out to your side....walk like an Egyptian. Hey, it's just a theory based on personal experience and observation, I don't have to be right. Try riding an elephant....it's worse! Thank you Egypt, you were a gem!